A group consultation is an enjoyable and cost effective experience. It’s fun, social and you’ll learn lots! Perfect for busy mums, professionals, local groups, clubs or simply as an excuse to get your friends together. It makes a great alternative to a spa day and the benefits last a whole lot longer! Let me show you the best colours to enhance your natural eye hair and skin tones, and how to combine them so that you look fresh and stylish. Take away: your personal 30 colour swatch wallet. 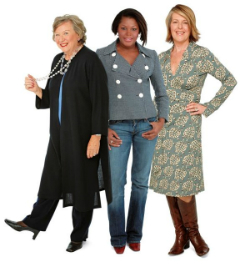 Learn how to dress in the way that best reflects your personality, body shape and lifestyle. Discover the types of clothing which will accentuate your good features and minimise your less-than-perfect areas, streamlining your body more effectively than months spent in the gym! Take away: personalised style sheet for each person. 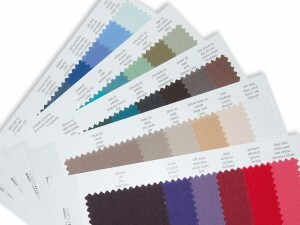 Some of the colours and styles that will work for you. How to edit your current wardrobe. How to choose the key pieces that will form the backbone of your wardrobe. How to mix, match and accessorise to build multiple outfits. How to buy less but wear more. This workshop is suitable for groups of three or more and takes approximately two hours. Do you dream of looking effortlessly stylish on holiday? Of always having something appropriate and comfortable to wear? And, best of all, fitting it all in a single suitcase as carry-on luggage? If the reality is that you end up packing things “just in case”, have multiple over-stuffed suitcases and still have nothing to wear that makes you look and feel fabulous, you need this workshop which is full of practical tips on how to build a beautifully co-ordinated and versatile capsule holiday wardrobe. My own capsule holiday wardrobe. This workshop is suitable for groups of three or more and lasts about two hours. Have you been applying your make up in the same way for years? Or have you never quite got to grips with make-up techniques? Maybe it’s just time for an update? Whatever your reasons, you’ll learn how to apply make-up quickly, effectively and in colours which are right for you.